ABUS Hybrid Padlocks feature a BiLock or Abloy core inside a high grade ABUS padlock shell. 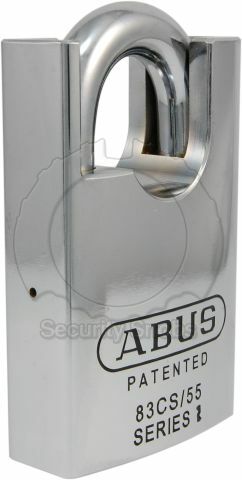 ABUS's padlocks feature the unique ability to be setup as key-retaining (key cannot be removed when padlock is unlocked) or non-key-retaining (key can be removed when unlocked) with the change of one piece. Shackles come in several different lengths and they have a variety of padlock sizes so a possible fit for almost any application is assured. ABUS padlocks are rekeyable so if your lock needs to be rekeyed at a later date you can contact us to have it done. All ABUS hybrid padlocks can work with the BiLock Quick Change Core system, minus the 83/80 padlock which due to the heavy anti-drill plate on the bottom, cannot have the core removed. 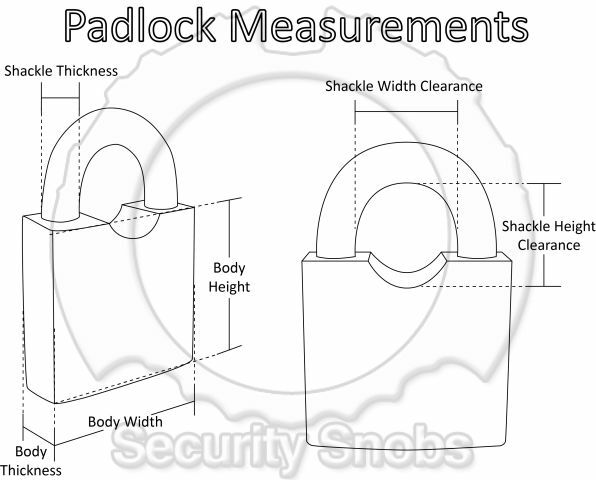 ABUS padlocks are one of the only non-key retaining padlocks in the world that are not shimmable. 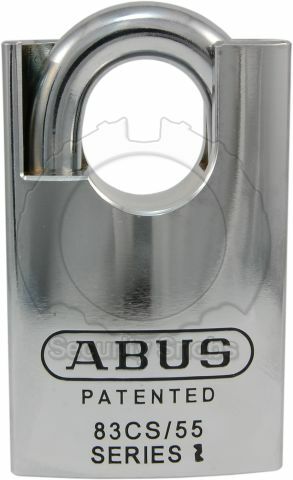 ABUS uses a unique spring rotating locking piece so that once the shackle is closed the piece rotates completely blocking the ball bearings from moving (and thus making it not shimmable). ABUS is a leader in high quality padlocks and security devices and is a perfect match for high security products. Their products are known to be extremely rugged and durable and very secure against attack. ABUS was founded in 1924 and is based out of Germany with a worldwide presence. Abloy currently has two different systems of locks the Abloy Protec2 and the Abloy Protec. First you must decide which system you would like to buy, most locks are available in both systems. For more information on the Protec1 verse the Protec2 please see our Abloy Brand Information page. To order a lock in the Abloy Protec2 you must select a key profile that has the number 2 in its name (ie "Protec2 Elite" or "Ruby2 Exclusive"). Next you have a choice of key profile, the key profile of a lock primarily is an issue of key control. Legally the Protec Elite and Ruby Exclusive key profiles have the same level of key control, no dealer other than the dealer who originally issued the keys (or the Factory) can cut more keys. Technically, with the standard Protec Elite key profile, all Abloy Protec/Protec2 dealers in the US have access to this key blank. This is a slight security risk as it does mean they could duplicate a Protec/Protec2 Elite key if they wanted to (but they would break their contract with Abloy in doing so and we have yet to hear of a dealer doing so). Our Ruby Exclusive key profile is a key blank that is only issued to us, which removes the option for another Abloy dealer to duplicate your ruby key as they do not have access to the key blanks. A Protec Elite key will not even fit in a Ruby Exclusive lock. The Ruby Exclusive is a very secure level of key control giving peace of mind to even the most worried lock owner. Having an exclusive key profile can also be useful if an eventual attack against the Abloy Protec is found. While it is hard to speak about something that has not happened, many advanced rights escalation attacks, or advanced attacks against high security locks, require having a key (or key blank) that fits the lock. With the Ruby Exclusive you will make it harder for an attacker to have access to a fitting key. Master Keying and Keying Alike are both services we are happy to offer however they do require that all the locks are the same key profile (Ruby Exclusive or Protec Elite). 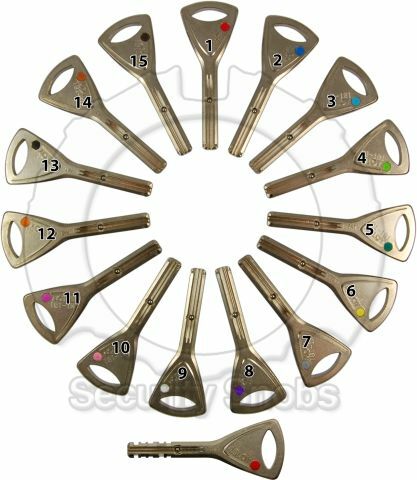 Abloy keys have a variety of color inserts that can be selected to help keep track of your Abloy keys from one another. Below, you are able to pick a color for your key indicators. If you want a different color for one or more of the keys, please specify the colors you want in the notes area during checkout. In addition, Abloy keys can have an optional plastic key head. Our Abloy Plastic Key Heads are found under the Accessories category. The plastic key head does not block the color indicator dots. Each lock comes with 2 or 3 keys by default however frequently that may not be enough. Ordering extra keys at time of order is the easiest and quickest way to get additional keys for your lock. 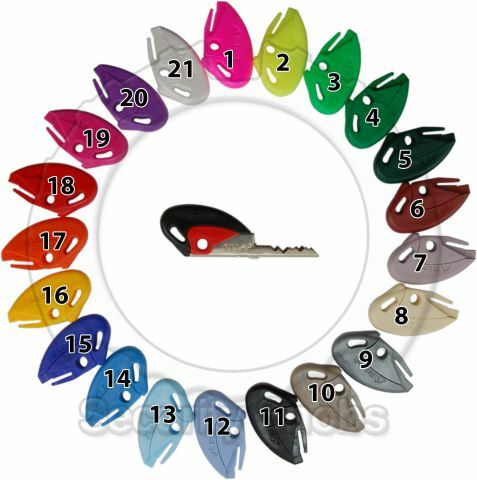 The Abloy key color indicator allows easy identification of different Abloy keys you may own. If you look in the product pictures you will see a picture outlining the possible choices and their color code. Non key retaining padlocks allow for the key to be removed from the padlock when it is open or closed. Key retaining padlocks only allow you to remove the key when they are closed (so the padlock is always locked when the key is not inserted). 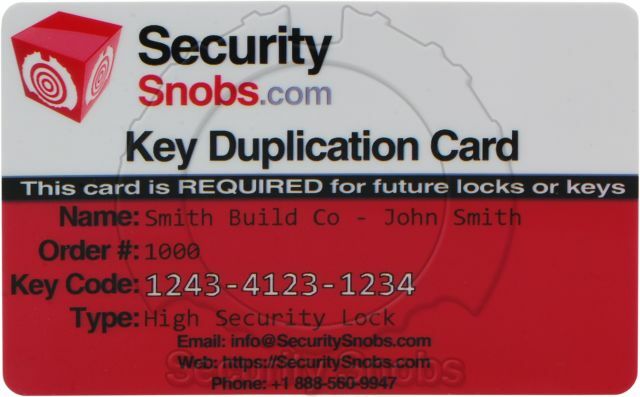 ABUS Hardened Steel Shrouded Padlock with BiLock or Abloy Protec2 Core was successfuly added to your shopping cart. You can browse for more products or proceed to checkout.